As well as golf courses Angus has lots to offer; castles to visit, rugged coastline to explore, spectacular glens, woods and waterfalls to discover. With bags of opportunity for walking, serious hiking and cycling. 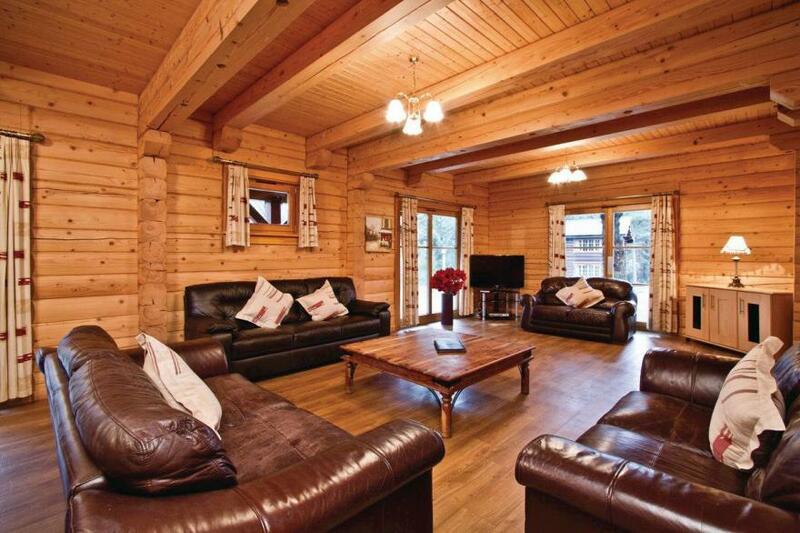 Cosy traditional lodge featuring one double with ensuite shower and one twin. Well-sized modern bathroom/shower room. Living area features widescreen TV and seating set near to a family dining area and well-equipped kitchen. French doors lead out to decking area with outdoor furniture.. Landal Piperdam is part of our Go Active Breaks Collection. Boasting a magnificent setting surrounded by over 500 acres of idyllic Angus countryside, Landal Piperdam combines superb accommodation with award-winning facilities to create the ultimate Scottish experience. 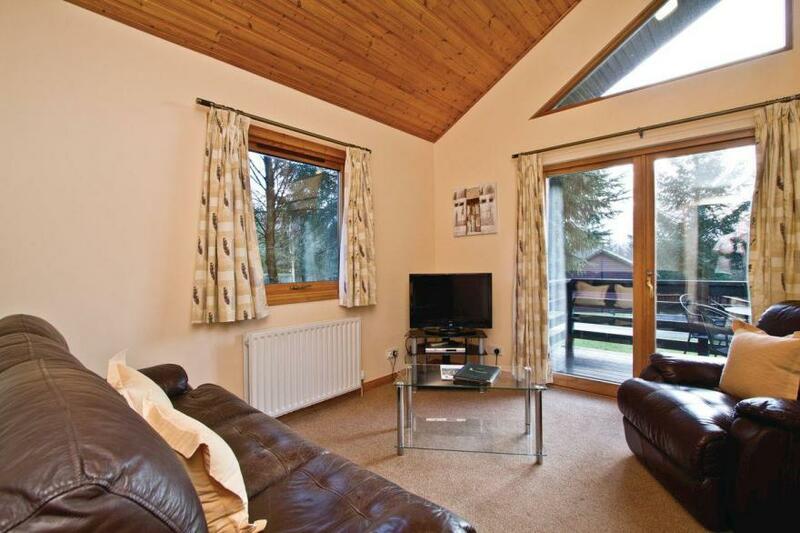 Cosy traditional lodge featuring one double with ensuite shower and one twin. Well-sized modern bathroom/shower room. Living area features widescreen TV and seating set near to a family dining area and well-equipped kitchen. French doors lead out to decking area with outdoor furniture and outdoor hot tub.. Landal Piperdam is part of our Go Active Breaks Collection. Boasting a magnificent setting surrounded by over 500 acres of idyllic Angus countryside, Landal Piperdam combines superb accommodation with award-winning facilities to create the ultimate Scottish experience. New in 2017. 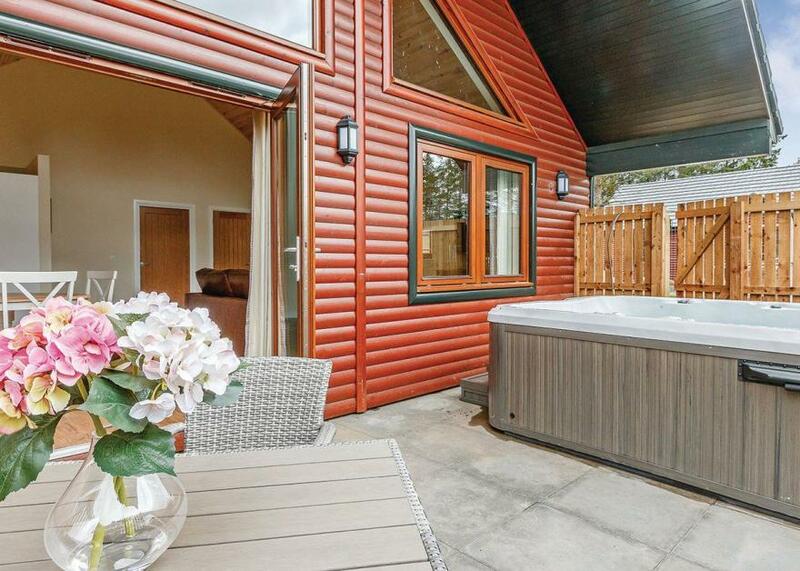 Stunning lodge featuring one double with feature freestanding bath and separate shower room. Stylish kitchen and living area. Outdoor hot tub, nestled within the beautiful forest setting.. Landal Piperdam is part of our Go Active Breaks Collection. Boasting a magnificent setting surrounded by over 500 acres of idyllic Angus countryside, Landal Piperdam combines superb accommodation with award-winning facilities to create the ultimate Scottish experience. Luxurious and well appointed detached, open plan lodge. The ideal getaway for friends or family. One spacious king size double and either one double or one twin – please check when booking, both with ensuite shower. Sauna. Outdoor hot tub. Special discount applies if only two people are using only one bedroom.. Glen Clova Lodges is part of our Autograph Lodge Holidays Collection, the ultimate Highland hideaway surrounded by the idyllic tranquillity of the majestic Angus Glens. Set in the grounds of the Glen Clova Hotel at the foot of Glen Doll, and commanding stunning views over the Clova Valley, this is the perfect Scottish rural retreat. A spectacular balance of the best of all worlds, each well appointed and spacious lodge boasts a fabulous open plan design opulently completed by private saunas and hot tubs. Factor in the hotel’s warm hospitality, bar and restaurant specialising in lovingly prepared local produce and you have the supreme complement to doing as much or as little as you please. The Angus Glens unlock a treasure chest of hidden delights to visitors, with Glen Clova arguably the loveliest; reflected by its rare plantlife. Glen Doll hosts challenges aplenty for outdoor enthusiasts, while cycling, walking, fishing and photography opportunities abound. Dundee and Perth are only an hours’ drive.. Glen Clova Lodges is part of our Autograph Lodge Holidays Collection, the ultimate Highland hideaway surrounded by the idyllic tranquillity of the majestic Angus Glens. Set in the grounds of the Glen Clova Hotel at the foot of Glen Doll, and commanding stunning views over the Clova Valley, this is the perfect Scottish rural retreat. Wi-Fi access (reception area). All facilities available for all dates. 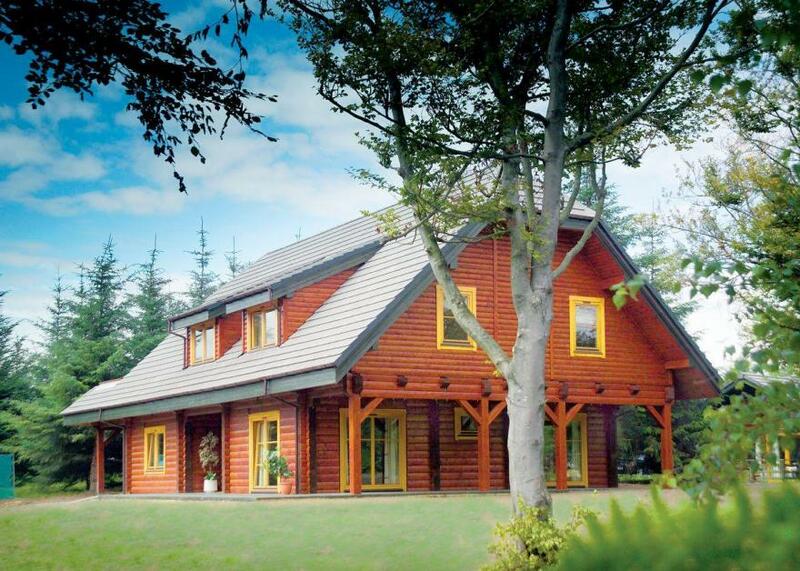 Spacious luxury lodge with one double and two twin. Bath with overhead shower. Open plan living area with patio doors. No pets.. Set amidst the Angus Glens and the traditional Scottish heather clad moorlands, this tranquil David Bellamy Gold award winning park has its own 20 acres of private woodland walks and features a stunning pond. It is the perfect escape from the hustle and bustle of everyday life. On site facilities include a football field, an enclosed play park and a golf practice net. There are four great golf courses within a short drive – discounted course rates are available at reception.. Set amidst the Angus Glens and the traditional Scottish heather clad moorlands, this tranquil David Bellamy Gold award winning park has its own 20 acres of private woodland walks and features a stunning pond. It is the perfect escape from the hustle and bustle of everyday life. 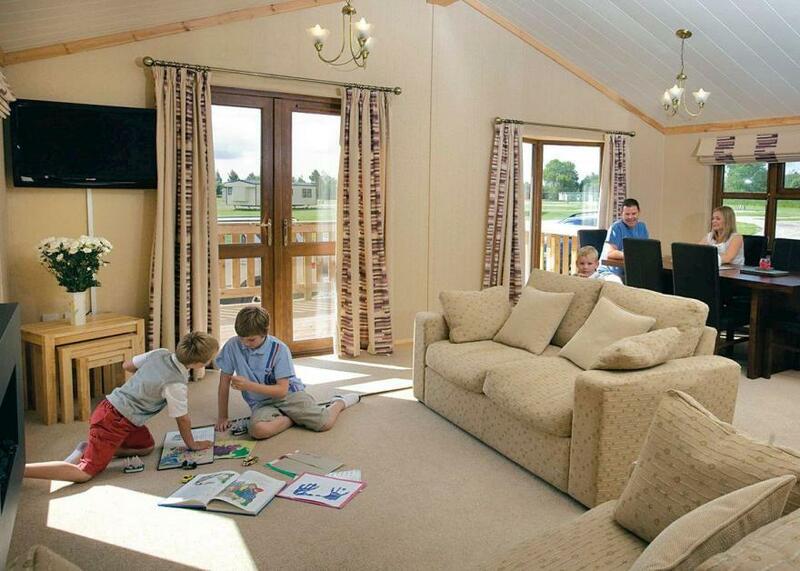 Spacious lodge perfect for that big get-together with friends and family. Ground floor features either two double and three twin or three double and two twin (please check when booking), all with contemporary ensuite shower. Doors lead to outdoor seating area with hot tub. First floor features one double. Large open plan living space includes an elegant dining area, modern kitchen with island, and lounge area with widescreen TV and comfortable sofas. Sauna. French doors leading to a balcony - perfect for soaking up the woodland atmosphere.. Landal Piperdam is part of our Go Active Breaks Collection. Boasting a magnificent setting surrounded by over 500 acres of idyllic Angus countryside, Landal Piperdam combines superb accommodation with award-winning facilities to create the ultimate Scottish experience. Unique rustic lodge. Ground floor: One twin. Shower room with two shower cubicles. Lounge/dining area and kitchen. Decking with outdoor hot tub. First floor: Two doubles, one with an adjoining twin and one twin. Bath and separate shower cubicle.. Landal Piperdam is part of our Go Active Breaks Collection. Boasting a magnificent setting surrounded by over 500 acres of idyllic Angus countryside, Landal Piperdam combines superb accommodation with award-winning facilities to create the ultimate Scottish experience. Stunning lodge. Ground floor: One double and one twin. Shower room. Lounge/diner. Kitchen. Outdoor hot tub. First floor: One double with ensuite shower and two twin with shared ensuite shower. Sauna with shower. Balcony with seating area.. Landal Piperdam is part of our Go Active Breaks Collection. Boasting a magnificent setting surrounded by over 500 acres of idyllic Angus countryside, Landal Piperdam combines superb accommodation with award-winning facilities to create the ultimate Scottish experience. New in 2018. 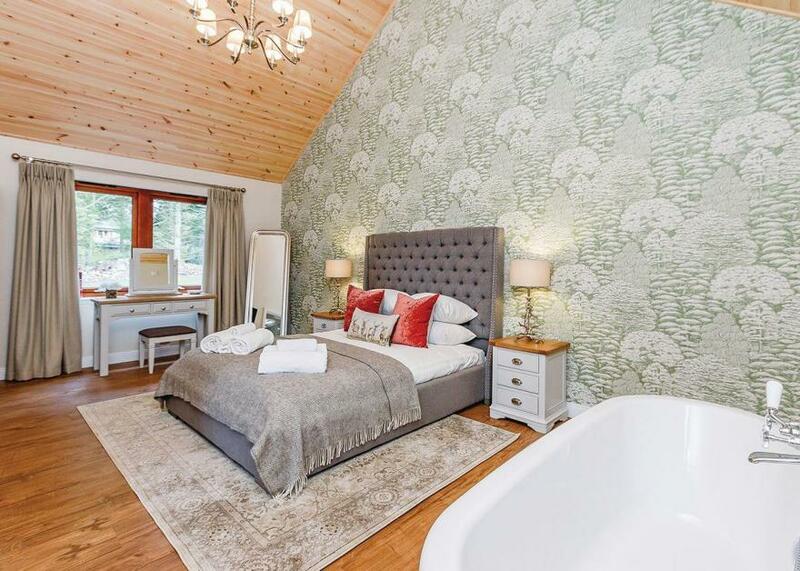 Stunning lodge featuring two doubles and one twin all with ensuite shower. Stylish kitchen/living area. Outdoor hot tub, nestled within the beautiful forest setting. Perfect for a romantic retreat at any time of the year.. Landal Piperdam is part of our Go Active Breaks Collection. Boasting a magnificent setting surrounded by over 500 acres of idyllic Angus countryside, Landal Piperdam combines superb accommodation with award-winning facilities to create the ultimate Scottish experience. 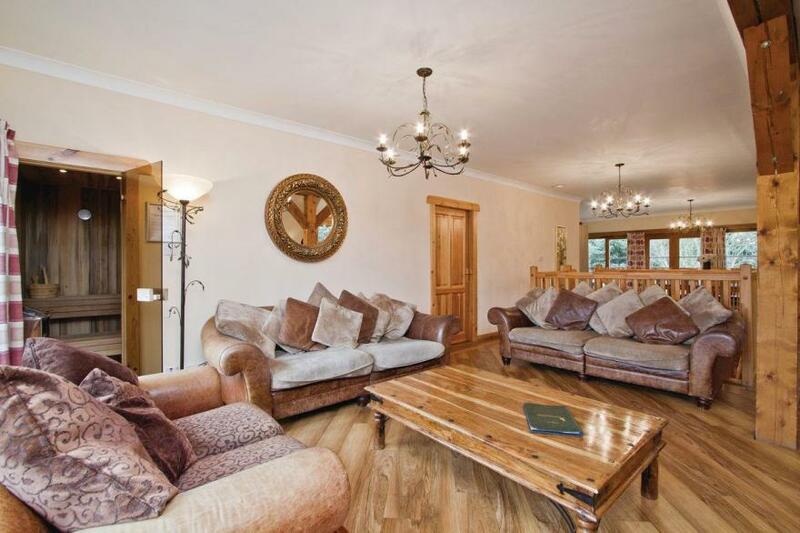 Luxurious and well appointed two storey semi-detached lodge. Ground floor: Two double or two twin – please check when booking, both with ensuite shower. First floor: Open plan kitchen/diner with balcony offering magnificent scenic views of the glen. One double. Shower. Sauna. 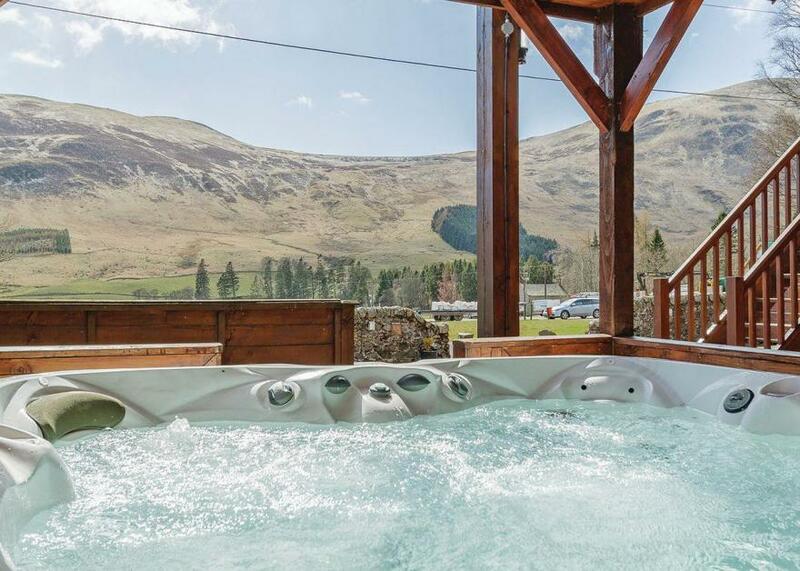 Outdoor hot tub.. Glen Clova Lodges is part of our Autograph Lodge Holidays Collection, the ultimate Highland hideaway surrounded by the idyllic tranquillity of the majestic Angus Glens. Set in the grounds of the Glen Clova Hotel at the foot of Glen Doll, and commanding stunning views over the Clova Valley, this is the perfect Scottish rural retreat.